Many people are bothered by seasonal allergies – sneezing and wheezing when certain pollens roll in. But for those allergic to certain foods (a less common type of allergy) the condition can take on whole new precautions and reactions. According to the Food Allergy and Anaphylaxis Network (FAAN), only eight different items account for 90 percent of all allergic reactions to food. Knowing the symptoms and risks can help keep people safe when a food allergy strikes, as the allergy is not always diagnosed and known. Once an allergy is known, steps can be taken to avoid exposure to the food and keep mealtime safe and enjoyable. Allergic responses to food can range greatly in type and severity. Less severe symptoms may include rashes, small hives, itchy mouth and nausea. As symptoms increase in severity, vomiting, diarrhea, stomach cramps, trouble breathing and widespread hives can occur. Patients having an allergic reaction to food may also have trouble swallowing and swelling in the lounge or lips. The skin may become pale or blue-ish, the pulse may become weak and dizziness and confusion may take hold. Anaphylaxis may occur, a rare and extremely serious allergic response that can result in death. Anaphylaxis can come on very quickly and needs to be treated immediately. According to the American College of Allergy, Asthma and Immunology (ACAAI), allergic reactions to food usually occur within a few minutes of consuming the allergen, but can sometimes be delayed by four to six hours. The ACAAI also notes that some similar, mild symptoms could be actually related to a food intolerance as opposed to a food allergy. An allergist should be visited when a reaction to a food is suspected. These professionals can help confirm the cause as well has help you treat and manage the reactions. Attempting to diagnose food allergies with the help of an allergist, though not always easy and certain, is an important step to take for the health and safety of patients. These diagnoses can help prevent unexpected serious reactions that may result in anaphylaxis and require the use of epinephrine, a shot of adrenaline that must be administered quickly and can help prevent death in these severe situations. Diagnoses and doctors’ care can potentially help reduce these numbers, as patients who are better informed about their allergies can better avoid them. FAAN reports that an estimated 4 percent of adults and 8 percent of children have food allergies, affecting around 15 million people in total in the US. Recent studies seem to suggest that these numbers are on the rise. This results in over 300,000 hospital visits by children under the age of 18 per year. According to ACAAI, you have around a 75 percent chance of having a good allergy if both of your parents have allergies. If allergies affect only one of your parents, you have a 30 to 40 percent chance, and if neither of your parents are allergic, your chance drops to 10 to 15 percent. The mainstay rule of managing a food allergy is avoiding consumption of the allergen. ACAAI recommends a number of steps to avoid exposure to allergens. First of all, always read ingredient labels on food packages, even if you wouldn’t think it is likely to contain the allergen. Check the entire package, because sometimes advisory labels (labels that warn, “this product may contain...”) are not placed next to the ingredient list, but may have important allergy information. If no ingredient label is present, it may be best to skip on that food item. There are many substitutions available for food allergens, and learning how to use them can make cooking and enjoying many different types of foods still safe and enjoyable. For example, many who are allergic to milk have no reactions to milk substitutes like rice or coconut milk. Egg substitutes are available in packaged forms, and when baking, their role can sometimes be replaced by bananas. When cooking at home for someone with allergies, it is also important to avoid cross-contamination. Equipment, surfaces, utensils and hands need to be cleaned thoroughly to prevent allergens from sneaking into other dishes unintentionally. Children with allergies need to be taught and reminded about the nature of foods that need to be avoided, as well as assisted in vocalizing responses to offers of these foods. School staff, teachers and administration should be informed about these allergens as well as treatment plans. In this way a child can be protected from exposure to their allergens while still getting to participate with classmates in school activities safely. 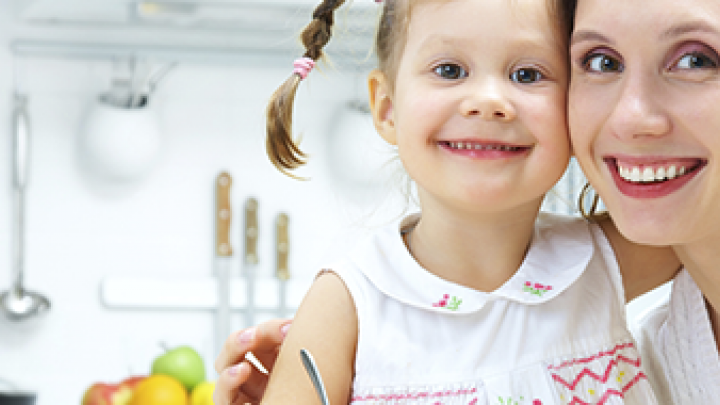 Though food allergies can be a serious and difficult situation, there are options, substitutes and ways to manage a food allergy. The more that is known about an allergy by patients, family members, school staff and friends, the easier avoiding the allergen can be and mealtime can stay safe and satisfying. Food Allergy and Anaphylaxis Network,"Food Allergy Facts and Statistics for the U.S." American College of Allergy, Asthma and Immunology, "Food Allergies"